Florida’s population can and must be stabilized to secure a decent quality of life that is economically viable for all our citizens. If Florida’s population continues its unsustainable growth rate, the quality of life for future Floridians will be far different than today. It's up to all Floridians to preserve and protect our natural resources and open spaces for future generations to enjoy. Help save Florida for future Floridians. Join Floridians for a Sustainable Population. What is in store for Floridians if Florida's population continues its unsustainable growth rates? Increased pressure on our fisheries will result in some species being banned from harvesting, more areas off limits to fishing, and inability to find a place to launch a boat. Loss of property rights: Increases in population dictate that more infrastructure needs to be built to accommodate more people. The state seizing private land through eminent domain will increase. In a recent poll from the Vanishing Open Spaces in Florida Study, Floridians were asked "Has Florida developed too much, too little or about as much as it should?" 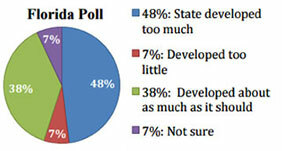 Looking to the future, only 7% said Florida needs any more development. While nearly half (48%) of voters said Florida has already developed too much, 38% said the state has developed as much as it should. Click here to view other poll questions. Key Findings: The chief finding of this study is that one factor – population growth – far outweighed all consumption factors in Florida's losses of open space during the last decade. New immigrants and births to immigrants during the decade totaled about 1.9 million, equal to two-thirds (67%) of Florida's total population growth. Solutions: This report makes clear that the level of destruction of natural habitat and farmland over the last decade was not inevitable. Rather, it was the result of choices – primarily choices made by local, state and federal government officials. Those officials can make different choices for the future if they want to stop the future destruction of a thousand square miles of Florida open space each decade. National Influence on Population Growth Beyond the short term, local Florida officials supportive of growth control and management can hope only to slow population growth in their jurisdictions if national population continues to increase by some 2.5 to 3 million additional residents each year. These 25-30 million additional Americans each decade will nearly all settle in some community, inevitably leading to additional sprawl as far and as long as the eye can see. Many of these added millions will choose to seek a home in Florida. Thus, long-term population growth in the United States and Florida is in the hands of federal policy makers. It is they who have increased the annual settlement of immigrants from one quarter million in the 1950s and1960s to over a million since 1990. These excerpts are only a few highlights of an extensive study. Please read the entire report here. Our forests, rivers and creeks, and coastal waters are invaluable to fish and wildlife, and to our own quality of life. But recent predictions indicate that our state's human population may double to 36 million in the next 50 years. If that happens, as a study published by 1000 Friends of Florida suggest, about 7 million acres of land could be converted from rural and natural to urban uses. Read more. A startling look at how U.S. immigration will add 300 million people to the country this century if immigration policies are not changed. Click here to watch. In the first post-war census, 1950, Florida had a population of 2.8 million. The nation's largest state at that time was New York, with a population of 14.8 million, more than five times that of Florida. In 1950, Florida had a population only 33,000 more than Brooklyn, the largest of the New York City boroughs. 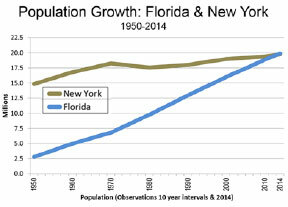 Since that time Florida has added a population more than double that of New York City. While Florida was increasing its population by more than six times. To see Florida's projected population growth by county from 2014-2040 click here. November 4, 2014 – Florida Water and Land Conservation Initiative “ Amendment One” Passes with 75% Voter Approval. Read more. Florida politicians may try the same shell games with Amendment 1. Read more. Legislature cannot ignore voter approval to conserve Florida lands. Read more. CARL HIAASEN: BRAZEN THEFT OF OUR AMENDMENT 1 BUCKS Read more. FSP joins environmental lawsuite against Department of Homeland Security. 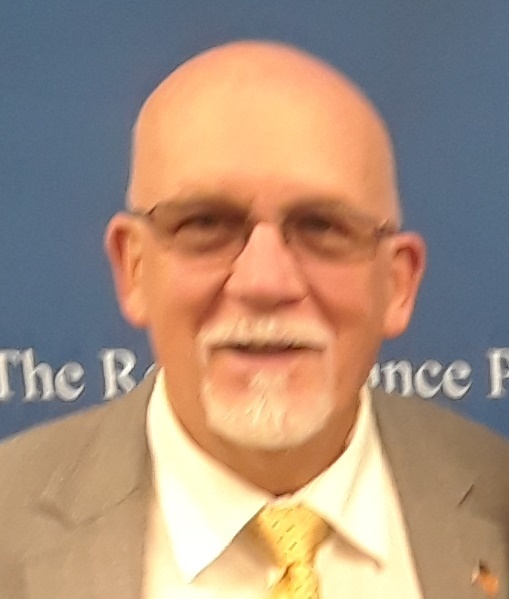 DHS, like its predecessor agency, the Immigration and Naturalization Service (INS), has never considered or analyzed the enormous impacts to the human environment caused by�legal and illegal immigration, as required by NEPA. Click here to read more. Support us through your purchases at Amazon. Amazon has great prices and quick delivery, so it�s a win win for everyone, plus it saves time and gas running to the store. Click here. Copyright © 2018 Floridians For A Sustainable Population. All rights reserved.